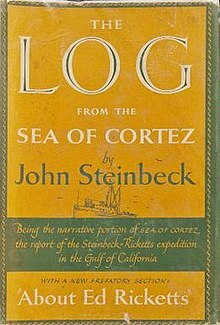 The Log from the Sea of Cortez is unavailable as a free download. The Google Earth tour (yellow link below) represents passages from the book that will hopefully inspire readers to learn more about marine science. If you enjoy the material, please purchase the book from your favorite bookseller. For additional information about the author, visit the National Steinbeck Center.